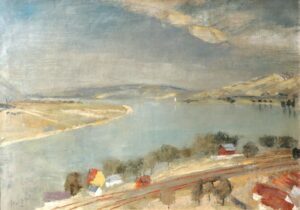 The Danube has always been inspirational for various artists along Europe. There are countless paintings, drawings, poems, and even songs about the River Danube. Just think about the Blue Danube Waltz from Johann Strauss, it is probably the most known waltz worldwide. Among other brilliant composers’ work, Strauss can also be enjoyed on the regular Budapest Gala Concerts. Some of the most known Hungarian folk songs are “Szeles a Duna” (The Danube is wide). Dozens of Hungarian painters were inspired by the Danube and its surroundings, especially Istvan Szonyi who painted some well-known masterpieces in the “posztnagybanyai” style which was the Hungarian postimpressionism. Janos Vaszary painted unique and colorful pictures of the Danube Promenade and the lively Budapest. 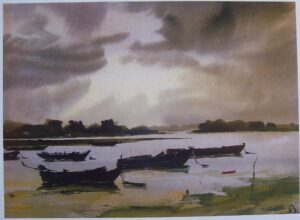 His main influences were French and he became a popular painter in his era. Today’s artists are still inspired by the Danube and Budapest, we can find several paintings and photographs for sale about the picturesque sights of the Hungarian capital. They could make nice souvenirs. The Hungarian National Gallery in the Buda Castle offers a great selection of fine arts from the best Hungarian artists. The Danube surroundings are still popular places for artists like Tamas Kanya who makes his creations from Romai Part to Szentendre. 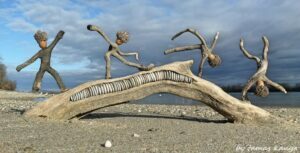 He creates statues and stone arts from items found on the riverside, driftwood, stones, sand, leaves, etc. Have a walk on a sunny day by the river, and with some luck, you can meet him or his creations. Enjoy the wonderful riverside attractions of the city from a Budapest River Cruise. Copyright © 2019 Budapest Danube. All rights reserved.